Now that you have your small rights and grand rights straight, here are a few more rights to think about. Typically, a composer will assign some or all of these rights to a music publisher. It is the publisher’s job then to license the work for use by a third party, collect the applicable fee from that use, and, after deducting a previously agreed-upon percentage, pay the balance to the composer. Remember, these are the channels through which composers earn a living. Using a composition in a way that encroaches upon any of these rights without securing the necessary license deprives composers of the income they are due by law. Synchronization (“synch”) rights are the rights to include a composition in an audio-visual work, such as a film, television, commercials, or YouTube videos. Fees for synch licenses are generally in the form of one-time payments, unless it’s a “stepped” deal with, for example, one fee for motion-picture use and additional fees for video rights should the film be released in that medium. Traditionally, the publisher grants synch licenses, although these days it is increasingly common for composers to have a right to approve (or not) synch licenses for certain types of works such as TV commercials promoting products like alcohol, tobacco, feminine hygiene, or political or religious beliefs. Mechanical rights are the rights to reproduce a composition in an audio-only recording such as a CD, MP3 file, vinyl record, cassette, USB drive, music box, instrument pre-loaded with audio, or consumer products with a sound chip (e.g. children’s toy, stuffed animal, greeting card, toothbrush, or talking fish mounted on a plaque). They may also apply to digital-media transmissions including satellite radio, web-based television, video on demand, and Internet subscription services, including on-demand streaming. Historically, mechanical rights are licensed by a mechanical rights organization (an “MRO”), which collects the income from the licensee (such as the record label), deducts its own fee, and remits the balance to the publisher. Harry Fox is the largest MRO in the U.S. The rights to distribute printed editions of a work either on paper or digitally—from a single song to a folio to a symphonic, opera, or musical score—form another part of the exclusive rights bundle. Some publishers print the works in their catalogs themselves; others may do so through a third party. The fees payable to the composer for print rights are typically based on a percentage of retail list price (10% t 12.5% i customary). If the publisher sublicenses the print rights to a third party, the composer is often paid anywhere from 15% t 50% o the publisher’s receipts. Concert rental rights are the rights to rent a score of a work in connection with a live performance. (Generally the rental fee is based on the number of performances.) Performance materials often include many parts (full/conductor’s score, individual instrument parts, etc.) and scores can run into hundreds if not thousands of pages. Since the costs of printing, binding, and delivery are very high, publishers generally rent these materials to organizations rather than require that they be purchased. (Larger organizations have their own score libraries, although they are never all-inclusive.) Concert rental rights do not include the rights to actually perform the work—that requires a separate license from the applicable PRO or, in the case of dramatic performances such as opera or musical theater, a license from the publisher directly. Typically, score rentals are handled through a concert rental agent, who retains between 25% ad 50% o the rental fees and remits the balance to the publisher. A derivative work is one that alters an extant work, such as a new orchestration or arrangement, a vocal work with new lyrics, or a work that “samples” portions of an existing composition. The fees publishers charge for the right to create a derivative work vary widely, but typically the publisher receives an ownership interest in the copyright to the new work. The composer of the source material receives a writer credit and a share of the derivative work’s performance income. Katie Baron is an attorney at the firm of Alter & Kendrick, LLP. Katie’s practice is focused in the area of copyright law with an emphasis on the music industry. She handles transactional and licensing matters for a number of prominent musical estates, songwriters, music publishers, and performing artists. 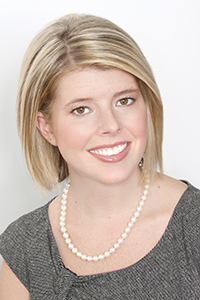 Katie has a bachelor’s degree from the University of Texas at Austin and law degree from Fordham University.